General Contractor: Lee Kennedy Co Inc.
Plans to enhance and renovate the Emerson College Boston Campus began to take shape approximately three years ago. 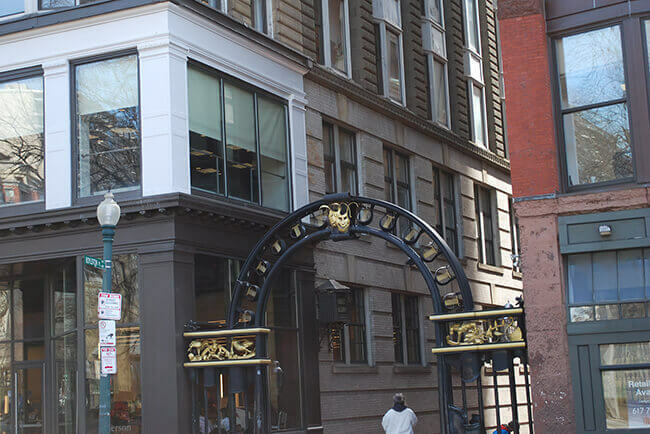 Emerson’s epicenter is located at the intersections of Boylston and Tremont Streets near the Boston Common. 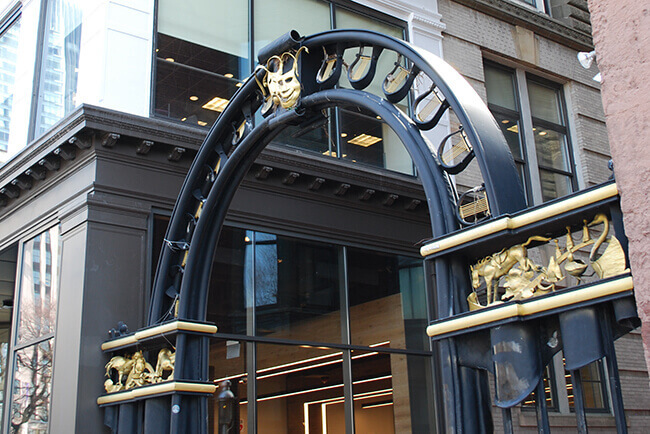 Nearly half of the Emerson College Boston Campus structures are new or have been renovated since 2002. Located at 122 Boylston Street, the cornice is an entryway to the campus courtyard, a central area for Emerson students to congregate. An ornamental metal specialist contacted M&A for their expertise in restoring the facade. 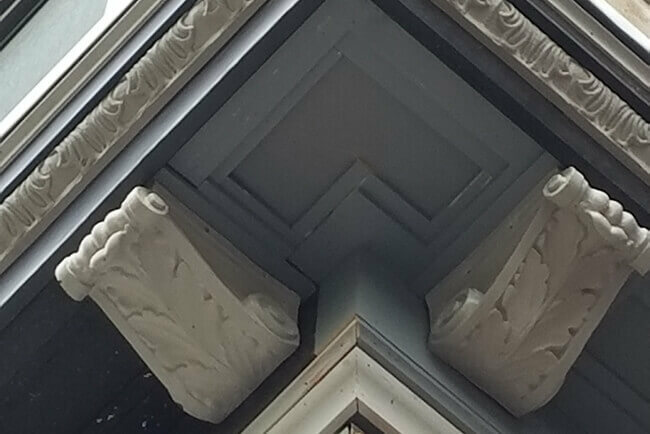 M&A was able to successfully replicate the original metal cornice using fiberglass. This cornice was fabricated and installed to form a seamless whole, integrating with the original elements on the building.